If you don’t remember Rin Tin Tin, the ‘oh so famous’ german shepherd of motion picture history, ask someone older who will. This beautiful animal was one of the the silver screen’s first canine heroes. He even has his own star on the Hollywood Walk of Fame, an accolade which only 3 dogs have. The other two dogs are Lassie and Strongheart. This Amercian icon survived a war before going on to make his mark as a film legend. He was born in eastern France in 1918 as World War 1 rocked Europe. It was September in the rubble of a German camp that the dog was found by a US Army corporal who discovered the dog’s starving mother with her five pups. One female and one male pup was kept by Corporal Lee Duncan. He named them after a pair of lucky charms just like those sometimes carried by French Soldiers. In that era there was a fad where folks carried tiny yarn dolls as good luck charms. Times were hard and some felt a little more protected if they carried these curious little mascot dolls. After the Armistice in 1919 Ducan’s life changed when he went home to California. Sadly, Nanette did not make it to California but Rin Tin Tin was kept busy there being trained beautifully by his master to do all kinds of tricks. The duo performed little shows to entertain and show off their talents. Recognising Rin Tin Tin’s amazing athleticism and aptitude for taking verbal direction, Duncan began approaching film studios to see if he could find acting work for the dog. Only a few years later Rin Tin Tin appeared in the movie The Man from Hell’s River as the leader of a sled dog team. The films were silent which put him more on a par with the other actors (as far as audiences were concerned) and they loved him. Soon he was known internationally and was receiving an incredible 40,000 fan mail letters a month. Rin Tin Tin was treated like a star having his own driver and exclusive contracts. 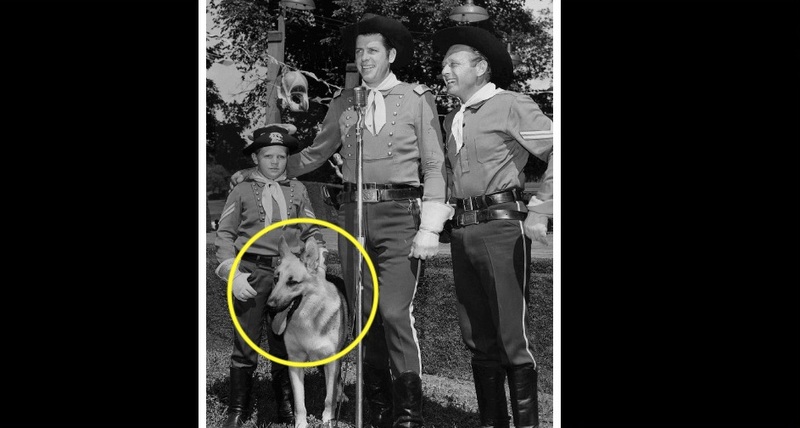 Sometimes at the end of screenings, Duncan would do a little public show with Rin Tin Tin just to demonstrate that he did not have to use any force or violence with the gorgeous dog to get him to perform. Rin Tin Tin was nearly 14 years of age when he passed away in 1932 but his character was continued in movies and television series for many years afterwards thanks to his descendants Rin Tin Tin Jnr, Rin Tin Tin III & Rin Tin Tin IV.